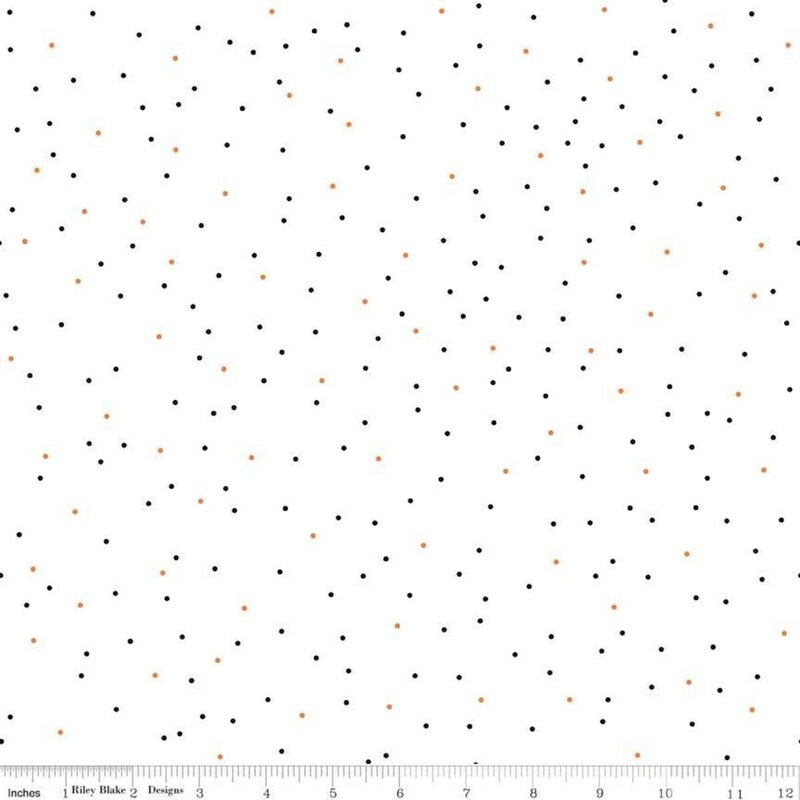 Item Descripton: This Riley Blake Designs Basic fabric by Lori Holt of Bee in my Bonnet features a scattered pin dot on a white background. It's perfect for quilting, apparel and home decor projects. Wonderful background fabric for Halloween quilt! Thanks!